Let the Bee buzz if you don't wanna get stung. 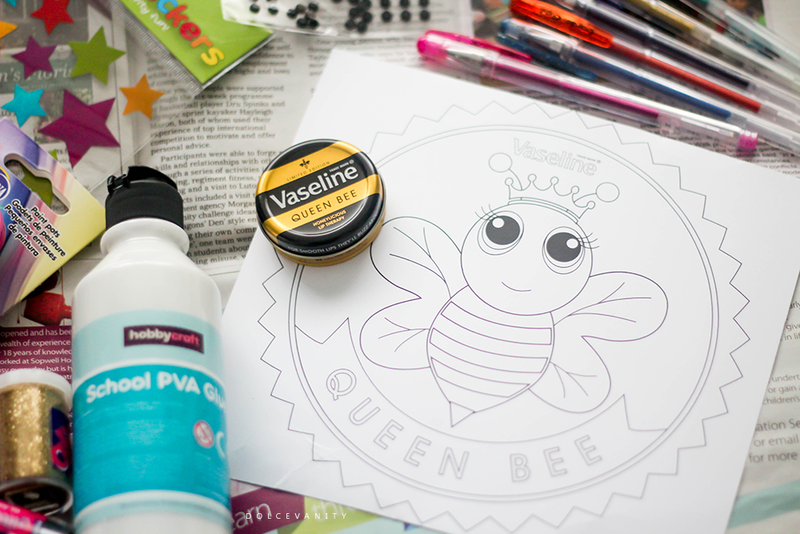 Vaseline have released their fourth limited edition tin, Queen Bee*. A light honey scented petroleum jelly lip therapy in a shiny striped tin a rich gold and black colour scheme, it's a nice addition for the clutch this party season if you're a Vaseline lover. In preparation of becoming an up & coming busy bee I was sent a box with contents that'll give me the chance to showcase my Queen Bee. I was wondering how this was going to happen so once the box came it was filled with stuff to do on a cloudy afternoon....glitter (wa-hey!! 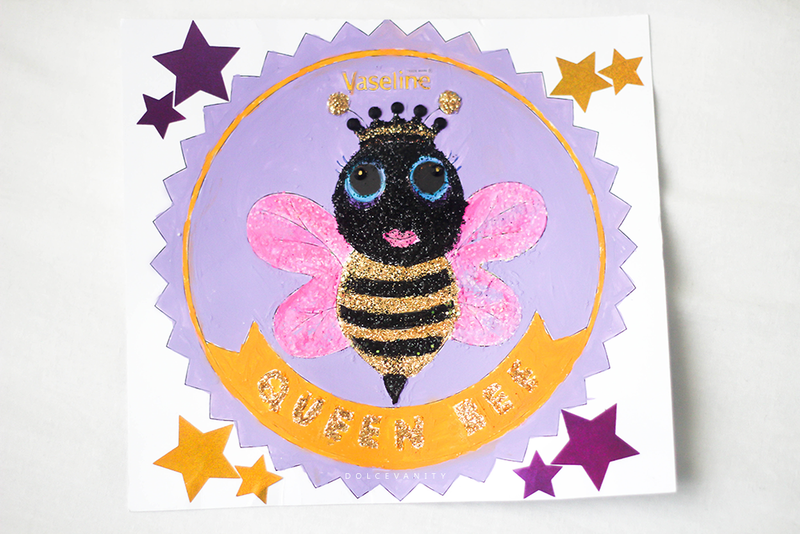 ), paints, gel pens, brush, PVA glue, stickers and jewels and of course a Queen Bee!! I didn't want to stray too far away from the traditional body of the bee. I decided on textured pink and purple mixed wings, jewelled eyes, crown and some pouty lips fit for a Queen B.